SYNOPSIS: ENTRE NOS is the story of Mariana (Paola Mendoza) and her children Gabriel, 10, and Andrea, 6. Together, they take us on a remarkable journey where we bear witness to a family’s commitment to survival and their unrelenting hope for the American dream. ENTRE NOS is inspired by the real life drama of Paola Mendoza’s mother's arrival in United States. After years of hearing the account and absorbing its implications, Paola realized she was ready to bring the heartbreaking but ultimately inspiring tale to the screen. REVIEW: On May 14 IndiePix will release Paola Mendoza and Gloria La Morte’s acclaimed film Entre Nos. 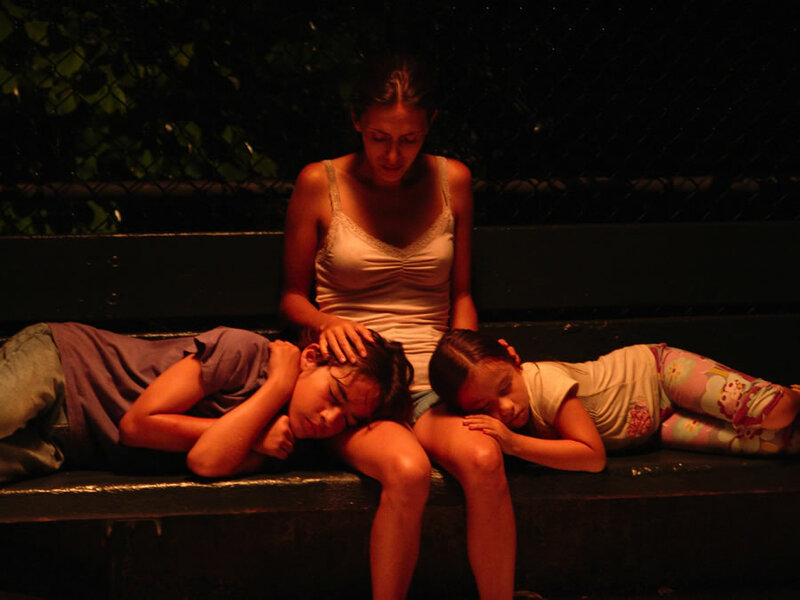 A film based on the true story of a Colombian woman whose is abandon with two kids by her husband within weeks of their arrival in New York City. Entre Nos is more than survival story of a broken family; it is about the determination of a woman to make the best out of the worst situation without losing her values and integrity. The film will hit theaters in New York May 14th, expanding to Miami on May 21st with a later release in Los Angeles. Also the film will be available on cable video on demand nationwide. What works in this film is the flow of the story. It is true that the story is not unique, since these types of stories have been the subject of many films in the past. However, co-writers/co-directors Paola Mendoza and Gloria La Morte managed to delivered a charming full of realism story that builds a strong connection with its audience. It also shows once again that there is nothing more amazing and captivating than real life itself and the capacity of people to endure the most dreadful conditions. Furthermore, it shows the power of the human heart and their ability to not lose their faith. Another important aspect of the movie is that it gives a sense of hope in people. Entre Nos shows us that even in our worse conditions there will be people who would try to take advantage of the situation, but there will be also good people who we can relied on. Some of problems that I found with the movie were that it seems to not have a real sense of time, especially for the kids. At the end it was hard to understand how the kid was able to speak English if it was their first Summer in the United Stated. There is not a clear explanation for it. Also the way the movie is ended desperately leaves the audience waiting for a conclusion. Overall Entre Nos is an inspiring film that once again shows how with the proper determination, people are able to do the most amazing things in order to overcome any obstacle.